The event celebrates County Sales’ move to a new location at 117 South Locust Street in downtown Floyd. The new storefront is located diagonally across from the Floyd Country Store, world famous for its music, dancing, and homemade food. The Floyd Country Store and County Sales are major venues on the Crooked Road. “The move up to the new location in Floyd will allow County Sales to be much more visible and accessible to the music lovers who come to visit Floyd. Our goal is to provide a welcoming storefront that will be open with longer, more regular hours; making it easy for folks to find music that they love and discover new favorites,” says Dylan Locke. 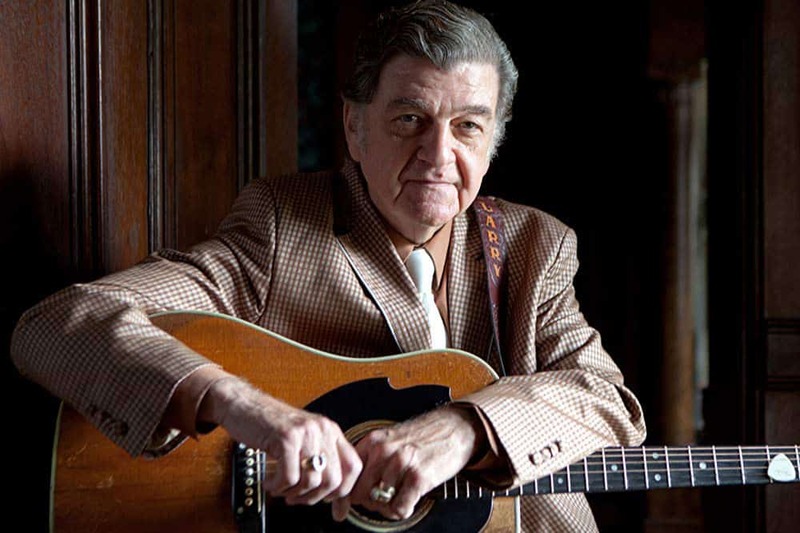 The Grand Opening will feature an opening performance by Larry Sparks & The Lonesome Ramblers at The Floyd Country Store on Thursday, April 11, 2019 at 7:30 PM. This performance is a ticketed event, and tickets are available online. Larry Sparks will also be doing a meet and greet at County Sales at 5 PM on April 11, which is free and open to the public. Additional activities include free performances and activities throughout the weekend by performers such as Larry Sigmon and Martha Spencer, The Deer Creek Boys, Amber Kalber & Scott Patrick, Gap Civil, Wound Tight, Janet Turner, The Route 8 Ramblers, Twin Creeks Stringband with Eddie Bond, and The Mountain Locomotives featuring Mac Traynham, Trish Fore, and Chester McMillian. The weekend activities will wrap up with an old time dance Saturday night at 7:30 PM with The New Ballards Branch Bogtrotters at The Floyd Country Store. Tickets for this event are $8 at the door. The regular Floyd Country Store activities, such as the Friday Night Jamboree, are a part of the event featuring performances by Gate 10 and Mountain Park Old Time String Band. Tickets for this event are $8 at the door at the Floyd Country Store. There will be a sale on all County Sales inventory all weekend long starting Thursday April 11 at 10 AM through close of business on Sunday afternoon at 3 PM. “Dave Freeman had a tradition of exciting open house events that were fun for the community and allowed music lovers to have access to County Sales’ incredible catalog of old time and bluegrass music. We are excited to reintroduce this model to Floyd and the greater County Sales community and hope people will come visit from far and wide” says Dylan Locke.